“The action which included supernatural warfare mixed in keeps the pages turning…” – David C.
“It is an action/mystery with a spiritual twist that will challenge your imagination…” – William S.
“A great Christian fiction novel full of action and energy.” – Brian W.
What if you had to die to find out who you really were? Haunted by his memories of combat and personal loss, Iraq War veteran Sergeant Chris Carter has successfully lost himself in the small town of Julian in Southern California. However, when his quiet existence is shattered by the bloody discovery of an unusual body on his shop’s very doorstep, Carter quickly has to come to grips with his hidden past and a future he never anticipated – a desperate struggle in the realm of supernatural conflict that has existed since the beginning of time. A terrible force has been re-awakened in the Iraqi desert after thousands of years, and its influence is growing. 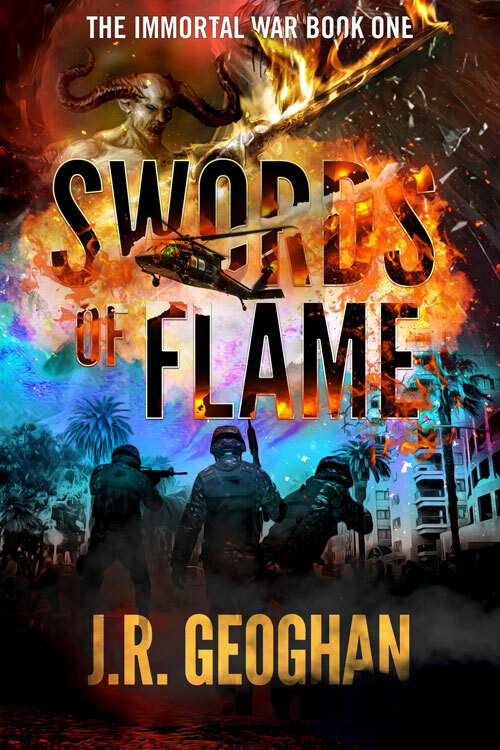 But when the Governor of California and the Vice President are swept up in its grasp, Carter must once again use his warrior skills in a new cause and with new allies. From the remote mountain areas of San Diego and a showdown aboard a speeding train along the La Jolla coast to a thrilling ride just over the heads of the teeming streets of Los Angeles, Carter must follow the trail of adversaries he can barely understand, let alone overcome. But for the sake of confronting a certain horrible memory of lost love, he must try… and is destined to learn something about himself that will change him forever.